If you have a site, I am sure you regularly consult its statistics. If you are a little depressed by what you are reading, here are 30 tips to Increase Website Traffic to your website. 1. Link a blog to your website. We have already seen it together, having a blog is a key element to increase the traffic of your website. This requires you to regularly update your site and write around an interesting keyword for your SEO. For more details, you can read the article about the interest of the company blog. 2. Regularly publish articles on your blog. We read it everywhere, we must publish it regularly, but why? Because the more content you produce, the more pages your site will contain and as each page is written around a keyword… On the other hand, a referenced page is an additional entry to your site. In addition, search engine robots tend to visit frequently updated sites more regularly. It’s all beneficial. 3. Take care of your content. Good content will allow you to increase your site’s traffic. Indeed, Google likes unique content (in the case of duplicated content, you risk punishment), the relevance of your content is also taken into account (the number of links, the number of words,). To learn more, check out this graphic design by Search Metrics. Your titles must appeal to your readers, but also allow a good referencing of your article. Be careful when choosing your titles. It is interesting to fill this attribute for your SEO because an image does not speak to search engines, only the text counts. In addition, there are many searches via Google image and it would be a shame to miss this traffic! Feel free to spend time on your keywords, it is an essential element to generate a constant and targeted traffic. Your keywords should not be too competitive and at the same time meet sufficient demand to have an interesting traffic. Sending a regular newsletter to your contact list will allow you to inform them every time you publish a new article and will increase traffic by encouraging them to visit your site to read for your prose. It is necessary to publish very regularly and to find inspiration, set up a monitoring of your sector of activity. Get off your blog and share your expertise on another site. Not only will you be known by the blog community that hosts you, but it will also provide you with an external link. In the same way, welcome in your turn the texts of other bloggers, the benefits will be the same as for tip #13. Admittedly, it is not thanks to a free CP service that you are very lucky to attract journalists, but it can bring you a little traffic! Post relevant comments on blogs or forums that revolve around your theme or interest the same target audience as you. If you choose a good quality directory, which does not require a return link to your site (a bilateral link exchange is not well received by Google), it may be good for your traffic. Make life easier for your readers by integrating buttons that make it easy to share your content on social networks. We are very impatient! Have you ever left a site before the page was fully loaded because it took too long? It’s the same for your visitors…. 21. Answer the questions about Quora. Do you have an international product or service? Have you checked Quora? It is a popular website that allows users to ask and answer questions. It is mainly used in its English version. At Lions Creative, we use Slack to communicate with team members throughout the day. Slack was designed to work as a simplified corporate email software, replacing email internally. However, since its release, many professionals have become accustomed to using the platform beyond its original purpose. It has become a modern chat room for industry professionals. 23. Build your own community. Depending on the nature of your business, you can create your own community. For example, if you manage a coworking space, you can develop a community that allows other entrepreneurs to connect. You can use Slack, LinkedIn, Facebook or even create something completely unique to your own site. Ryan Hoover of Product Hunt wrote a useful article on how he used social networks to publicly build a massive community very quickly (and for free). Attending relevant conferences and conventions is another way to generate fresh traffic. Giving presentations, participating in an entrepreneurial meeting, hosting stands and simply handing out business cards can help you. 25. Automate email marketing campaigns. Once you have put in place the essential elements of content marketing, it is time to think about email marketing. A study conducted in 2018 by GigaOM Media revealed that marketing professionals are more dependent on email marketing than on any other practice. While social networks are excellent at attracting new opportunities, they are less effective at developing long-term relationships. The best way to develop long-term relationships (and redirect traffic to your site)? Create automated email campaigns that guide prospects through the buyer’s journey. How many titles do you see each day when you search on Google? What really makes you click on some links and not others? That’s the title, of course! It may surprise you to learn that writing irresistible titles is actually quite stereotypical. For example, research shows that informative titles such as lists (which begin with an issue), practical titles and guides tend to get more readers and sharing. What is a resource? It is a piece of content that is so valuable that people cannot help but share it and tell others about it. Getting something shared on social networks through information sources, educational outlets and/or industry blogs will certainly bring you more traffic to your website. The key is to create this resource for the right person. You can assume that it is your buyer character, but this is not always the case. 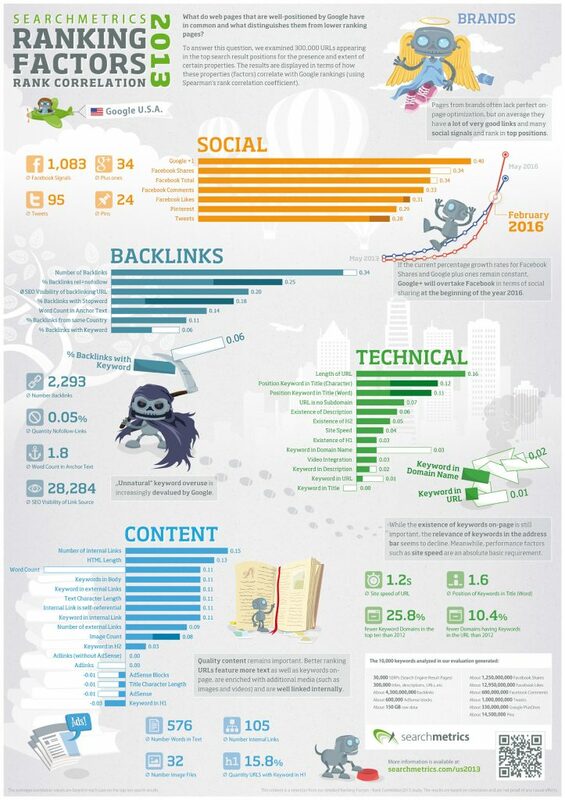 As mentioned above, backlinks are one of the most important factors when it comes to ranking for competitive keywords. Thus, resources also fall into the SEO category. If you have a blog post you are particularly proud of, consider reformatting it for another medium. Articles can be restructured into video conferences, webinars, slide sharing, computer graphics and more. Not only does reusing content prevent you from proposing new topics, it also helps you to become familiar with different audiences. 29. Launch a YouTube channel. Google is the number one search engine in the world. The second largest search engine? It’s YouTube! Publishing video content on YouTube can outperform major brands in Google search results. According to Fortune Lords, 1.3 billion people watch 5 billion videos on YouTube every day! Choose the right keywords for your video titles, and you could end up with a new audience willing to click on your site. 30. Get your shared content on Reddit. Reddit is a community website for link sharing. Community members can submit content in the form of text messages or direct links; this content will be voted on by other community members. Submissions with the most votes appear on the first page or at the top of a category. It should be noted that Reddit does not allow self-promotion – this goes against the purpose of the community site – so you will need someone else to submit your content for you. In addition, members of a community like Reddit are used to disguised spam. Be vigilant! Choose a relevant subreddit (category) when you have something relevant to share.